Can’t decide whether you should get dental implants? Dr. Joseph Camuccio recommends dental implants. Dental implants are more durable, do not decay and preserve the bone. In the long run, implants turn out to be the better value, not only monetarily but due to their long lasting durability. 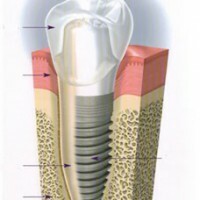 Call Dr. Camuccio today to find out more about dental implants and why they are the better choice 954-781-6170. Learn more about Dr. Camuccio and his team buy visiting his website at www.creativesmiles.us. This entry was posted in Cosmetic Dentistry, Restorative Dentistry and tagged cosmetic dentistry, dental implants, implants, Lighthouse Point Fl, Pompano Beach Dentist on January 28, 2014 by admin.